VLC 1.1.5 is the latest and fifth bugfix release of the VLC 1.1.x branch. Latest VLC comes with a number of important bug fixes and other security related improvements. 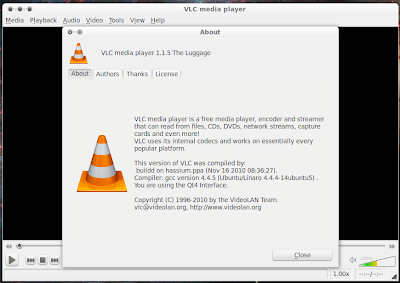 Here is how you install latest VLC 1.1.5 in Ubuntu Maverick, Lucid using PPA. 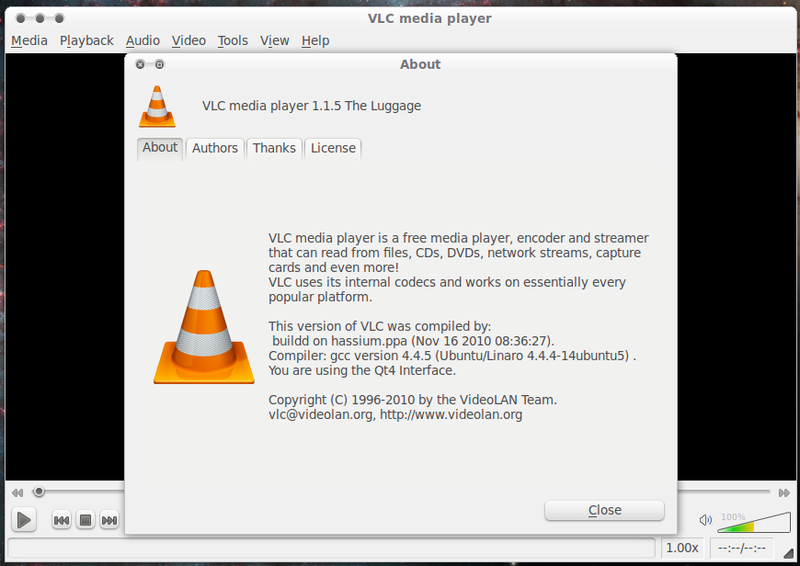 What's New in VLC 1.1.5? Two and a half months after the release of VLC 1.1.4 comes the new VLC 1.1.5. Though a minor release, VLC 1.1.5 comes with a host of improvements and bug fixes. 1000 Web-shows listing integrated inside VLC's playlist, provided by Channels.com. New Game Music Emu (GME) support. We are going to install latest VLC in Ubuntu using ferramroberto/vlc PPA which we have already featured before. Do the following to install VLC 1.1.5 in Ubuntu. VLC has always been my favorite multimedia player in Linux along with SMPlayer. If thats the case with you also, consider contributing to VLC. Meanwhile, you might also want to increase your apt-get download speeds considerably using this simple bash script called Apt-Fast.